Silence distractions before they strike! TextNinja is a gameified driving app that incentives users to drive distraction-free with badges and other perks. Reward safe driving habits the fun way, with TextNinja! 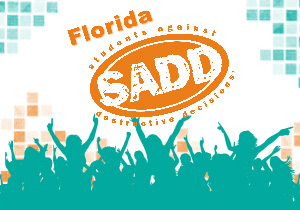 FL SADD is dedicated to educating students, parents, and others in the community concerning the problems of underage drinking, impaired driving, seatbelt usage, driver training, speeding, and red light running. The FL SADD emphasizes traffic safety because traffic crashes are the # 1 cause of death for teenagers in America. We Save Lives is an international coalition, founded by Candace Lightner (Founder of MADD), that is dedicated to saving lives caused by multi-impaired driving by focusing on the 3d’s: drunk, drugged, and distracted driving. Our mission is to support and promote solution driven policies and programs that save lives by changing dangerous driving choices through viral awareness, education, advocacy and ongoing partnerships. People Against Distracted Driving, was founded in 2012, in memory of Nikki Kellenyi, a beloved Washington Township high school senior who died at the age of 18. 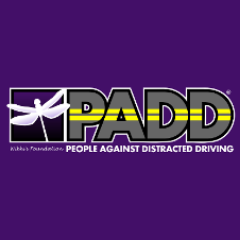 PADD is focused on preventing distracted driving through public awareness and education and to aid the families of victims affected by distracted driving. The core mission of EndDD is to preserve life and promote safety on a large scale through advocacy, education, and action. 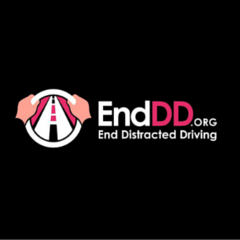 EndDD.org can arrange a distracted driving speaker to come to your workplace, school or organization to talk about the danger and prevention of distracted driving. 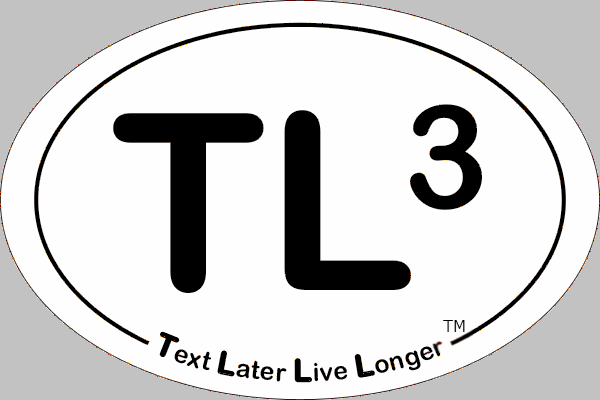 Founded by Rebecca Ellison and Shawn Kelley, Text Later Live Longer is a bumper sticker campaign to save lives by encouraging people not to Text & Drive. People who place this sticker on their cars tell others, I don't text while driving and neither should you! You crash into a canal and your vehicle begins to sink. Water fills the car. Time is ticking. Do you know how to get out? Think First for Safety provides submerged vehicle drowning awareness and education in memory of Anthony Almonte. Our mission is to make sure you know what to do if you're ever trapped in a car.